A few days after starting his new job at San Diego Metropolitan Transit System (MTS) headquarters, a man was arrested for trespassing in a violent encounter with MTS security officers, even after his supervisor confirmed he had a right to be there, according to a lawsuit. Two of the MTS officers involved have been accused of violence before and remain on the job, a joint investigation by NBC 7 Investigates and Voice of San Diego (VOSD) found. When Allen Koka started a new job cleaning buses and trolleys at MTS headquarters, he said his employers told him they’d wait a bit before issuing him an ID badge because it was a tough gig and there was no reason to go through the motions if he ended up quitting after a day or two, he said. 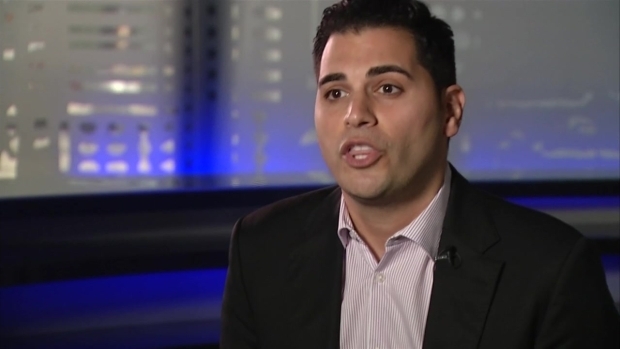 The 28-year-old Iraqi immigrant was a few days into the job when he reported to work one night in November 2014. According to his complaint, Koka left a short time later in an ambulance, following an altercation with a team of security guards who worked there too. MTS officers said Koka had been trespassing because he did not have an ID. All charges against him were eventually dropped. Now, MTS is in court trying to defend itself from a lawsuit filed by Koka. Body cameras worn by MTS security officers caught a portion of the incident. The video shows Koka arriving to work that night without an identification badge, prompting MTS officers to stop him and tell him he is trespassing. As shown in the videos, a team of security officers surrounds Koka, who is 5-foot-4 and about 145 pounds, and presses him about his identity for several minutes. In the video, Koka said he worked there; the security team said they were going to give him a citation for trespassing. The video shows, Koka's brother, also a night janitor at MTS, and the brothers’ supervisor showing up to vouch for him. “This guy and this guy work with me,” the supervisor told the officers in the video, pointing to Koka and his brother. After previously agreeing to let Koka call his supervisor to clear things up, the officers then tell him they don’t care about the supervisor once he shows up. The boss could not convince the officers to let Koka be, the videos show. When Koka declined to put his hands behind his back to be handcuffed, MTS officer Bill Buck, with the assistance of other MTS officers, is seen taking Koka down, according to the lawsuit. It’s unclear what exactly happened to Koka at that point – the video becomes a jumble of darkness and flashes of light – but Koka is heard screaming in pain. He screams “My face!” repeatedly, then tells the officers he’s recently had surgery on his stomach. Koka’s attorney said Koka had visited Turkey several months earlier. There, he was robbed, stabbed and hospitalized for a number of weeks before he could return to America. Koka said he doesn’t remember the MTS tussle. An ER doctor wrote in his emergency record that MTS employees told him Koka lost consciousness for approximately 30 seconds, according to Koka’s lawsuit. Mark Arabo, who is politically active within the region’s Iraqi community, said the incident should shake up the MTS security apparatus. Koka’s lawsuit names the officers present, MTS, a private security firm it contracts with and the cleaning company for which Koka worked. In the lawsuit, he said his civil rights were violated, he was assaulted and MTS was negligent in its supervision of the officers. NBC 7 Investigates and VOSD discovered, before the incident with Koko, two of those officers – Buck and Miner -- were accused of improper use of force and both men are still working for MTS. Court records show MTS had settled the lawsuit over an earlier incident involving both Buck and Miner, days before the incident with Koka. In that settlement and in response to Koka’s lawsuit, MTS, the officers and other parties named do not admit liability and have denied any wrongdoing. That previous settlement was the result of a 2011 incident in which Buck and Miner stopped a Mexican couple traveling on the trolley for fare evasion, according to the couple's lawsuit filed in 2012. While writing the ticket, the officers called the Mexican man, Fernando Alcocer, a “piece of sh--” and a “f------ Jew” and said they hoped he and his wife were sent back to Mexico, the lawsuit claims. When Alcocer said he was going to record the officers with his phone, Buck punched him in the head, according to the lawsuit. Buck and Miner then took him to the ground and proceeded to beat him, the lawsuit claims. The lawsuit settled for $25,000 – a sum that was split between MTS and Universal Protection Service, a private security firm that contracts with MTS. Buck was an employee of Universal Protection Service at the time. MTS later hired Buck as one of its employees. Miner has been the subject of two other complaints MTS paid to settle in the last 10 years. MTS and Miner have admitted no liability and deny any wrongdoing in those cases as well. MTS and Universal Protection Service split a $7,500 settlement in one of those incidents. In that case, according to court documents, a woman named Detris Phiffer alleged in a lawsuit that she was forced out of her car at the Euclid Avenue Trolley Station in February 2012, thrown to the ground and punched and kicked by a few officers, including Miner. In October 2012, a handicapped woman named Linda Li alleged in a formal complaint with MTS that she had a run-in with Miner and another security officer at the El Cajon Transit Center. In the complaint, Li claimed the incident left her with bruises and dislocated wrists. MTS paid $20,000 to settle that case, according to a document obtained from MTS. Through an MTS spokesman, Buck and Miner declined to comment for this story. According to MTS, over 200 officers patrol trolleys, buses and transit system property. Most of them – 175 – are private security guards from Universal Protection Service. They can have guns but do not have powers of arrest and cannot write tickets. The other 35 or so officers, including Buck and Miner, are employed directly by MTS. They have no guns but can write tickets and briefly detain people, but they cannot send someone to jail without the help of police. None of the officers are required to attend a police academy, according to MTS. Instead, they get 160 hours of on-the-job training and must take a state training course. To learn more about the role of MTS security personnel, watch the video below. If you are using our app, click here. MTS security guards patrol San Diego trolleys, buses and station platforms. But who are they and what powers do they have? NBC 7's Mark Mullen and the Voice of San Diego's Andrew Keatts explain in this week's San Diego Explained. In September 2014, just two months before the Koka incident, MTS outfitted all of its 35 or so officers with body cameras. The agency still doesn’t have a written policy for how its officers should use their body cameras, but Manny Guaderrama, MTS’s head of security, told NBC 7 Investigates and VOSD, officers are supposed to turn their cameras on for all enforcement actions. MTS also doesn’t have a policy for releasing body-camera footage to the public. 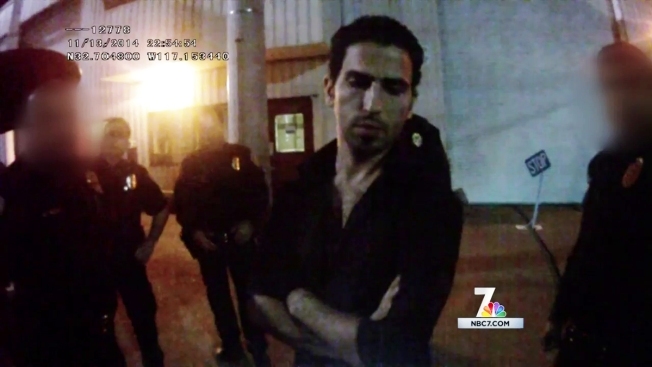 NBC 7 Investigates and VOSD received copies of the body camera footage from Koka’s attorney. MTS directly released some video as well, in response to a California Public Records Act request. MTS told NBC 7 Investigates and VOSD it plans to have all of the private security officers wear body cameras. It’s part of a contract extension between MTS and the company approved by the MTS board last week, Universal Protection Service. According to the approved contract, MTS will pay UPS up to $39 million over the next five years. According to MTS, the agency does not have a written policy for judging whether its officers have used excessive fource. Guaderrama or another member of MTS security leadership looks into each incident to determine if force was appropriate. If it wasn’t, Guaderrama can dole out a punishment ranging from a reprimand to dismissal. Koka’s case is still pending, but the MTS board discussed it last week during a closed session. San Diego City Councilman David Alvarez, a member of the MTS board, watched the body camera video of the Koka incident, and told NBC 7 Investigates and VOSD his impression was there was a miscommunication that could have been resolved peacefully. “There should be corrective measures that are serious corrective measures – not just a slap on the wrist or a write-up,” he said. Koka said another MTS officer resolved the same situation peacefully just a few days earlier. He said, he showed up and was stopped by an MTS officer for not having his ID. Together, they walked to Koka’s boss’s office where the boss confirmed Koka worked there, and the situation was resolved, he said. MTS also filed a complaint against the cleaning service Koka worked for, NMS Management, for failing to give Koka an ID badge before he started work. Koka now works at a gas station in Escondido.